Need Help Moving or Packing? While so many in our community are trying to rebuild their homes and offices, we are here to help. Give us a call if you are in need of packing or moving services. Since 1987, we have been exceeding expectations of Houston homeowners. Our team is reliable, trustworthy, and eager to show you how simple moving can be. From a one-bedroom apartment to an entire family home, from packing to unpacking, moving locally or out of state, there's nothing we can't do to make your move as easy as possible. 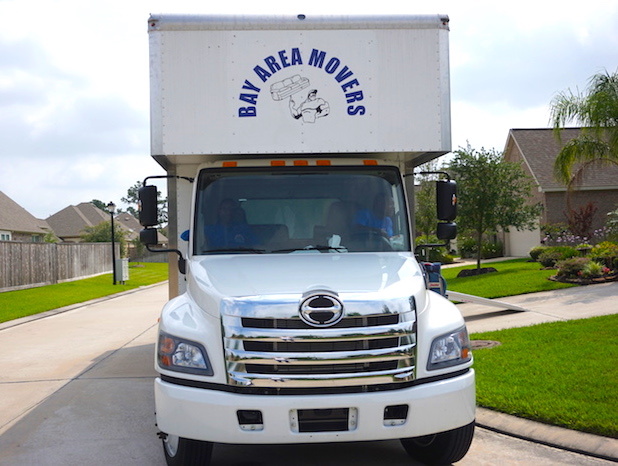 Bay Area Movers is a family owned and operated moving company that has served Houston and the Clear Lake area since 1987. We started with one truck and have grown into a large moving company that moves homeowners locally as well as out of state. We offer residential and commercial moving and packing services to homeowners and business owners in Houston, Alvin, Angleton, Clear Lake, Deer Park, Dickinson, Freeport, Friendswood, Galveston, Kemah, La Marque, La Porte, Lake Jackson, League City, Pasadena, Pearland, Santa Fe, Seabrook, South Houston, Texas City, and the surrounding area. Moving can be very stressful in general. Choosing the right mover, can at least eliminate the physical stress of moving. We have been the choice mover for many local homeowners for almost 30 years. Give us a call today at 281-992-2700. We want to make the transition to your new home as easy as possible.